-As always everything in this preview is "my" opinion and analysis, I always welcome everyone’s opinions, thoughts, and criticism, as this is a message board and it's what makes this place great...but please keep it baseball related. In year 12 now this preview is for those friends, family, and alumni who follow the sport however may not be able to see the team early in spring and want to get a better feel for who’s – who. -The lineup I predict is not only based on what I have seen thus far but how I see the respective positions shaping up throughout the entire regular season. -The MLB uses a 20-80 grading scale to evaluate each draft eligible player based on their skillset of 1) Power 2) Hitting 3) Speed 4) Fielding 5) Arm. Now because 60-70% of all MLB draft eligible prospects fall into the below-average to average skill set it’s not much to look at when previewing a standard collegiate team. To give viewers a better representation of how they stack up on the collegiate level what I’ve done the past few years is grade each player based on their current tools as they compare to other players at the collegiate level. What this does is expand the bell curve a bit and give a better representation of their respective strengths and weaknesses now rather than a projection for a MLB position. -At the end of each position is a final overall grade based on the entire unit as a whole. It's essentially a combination of talent/depth/intangibles etc...compared to the rest of the collegiate baseball positions. At first glance you’re looking at an entire overhaul. Two JUCO’s and a prep star from the state of Louisiana will form the catching position over the course of this year. Because of Saul Garza’s rehab he’s going to start at another position with the possibility of filling in full time later on in the year. CJ Willis, Drew Bianco, and Braden Doughty backup however I don’t see any as viable long term starting options. Brock Mathis will start opening night, it shouldn’t come as a surprise given the limited options at this time as the coaches piece together the first few weeks of the year. Saul Garza is rehabbing a knee injury and CJ Willis wasn’t able to throw full strength at all in the fall due to a shoulder injury. It also looks Willis is transitioning to 1B/DH at least in the near future. Mainieri’s made it clear he’s not going easy on Brock thus far, LSU greatly lacked a leader behind the plate in ‘18 and the position was quite frankly sloppy at times. Everyone in the program through word of mouth has made it clear Brock is showing to be much more of a vocal presence and is actively working with the pitchers to get their rhythm in sync. Out of the three Mathis may be the least projectable at the next level however he’s shown to be a stable defensive player to this point. At the plate Brock shows slightly above power from time to time and a slightly below average hitting tool, he shows great exit velocity at times but needs to show he can hit with average consistently. Even though he’s added to his frame in the last two years his speed is right about average and he moves a whole lot better on the bases than anyone LSU’s had behind the plate in quite some time. With this being said he’s not a threat to steal and won’t be from the spot he hits in the lineup. Because of Brock’s quick pop time I think he’s going to jump right in with only minor hiccups. I haven’t seen anything from him defensively that would lead me to believe he can’t handle the first month or two as he gets adjusted. Arm strength is a plus tool and will work in combination with his quick feet and athletic frame in throwing out runners on the bases. Saul Garza the other JUCO catcher is currently getting back to 100% after surgery to repair his meniscus, because of this he’ll be starting the year at DH. The plan right now is to work Saul slowly back into catching as long as he’s comfortable around the last week of March. It’s going to be a fluid situation depending on how both he and Mathis are hitting and if Mainieri feels any of the freshmen pushing for playing time warrant a starting spot at DH. CJ Willis is going to start the year competing for the 1B position. One of the big question marks is will CJ permanently transition to a corner infield position long term which is something I don’t think anyone has the answer to as of yet. Drew Bianco has gotten some voluntary work here but it would take a lot to see him as an everyday starter. I think he’s quicker to see the field at 1B or 3B. Braden Doughty is a year older and will serve as the primary bullpen catcher and add depth to the position. He’ll be a typical defensive/pinch runner replacement late in ball games or mop up duty. My take: The position as a whole is limping out the gate but the talent is there, depth is coming in time, and there should be a major upgrade in power. Right now Brock Mathis has to step in and hold the line so to speak. 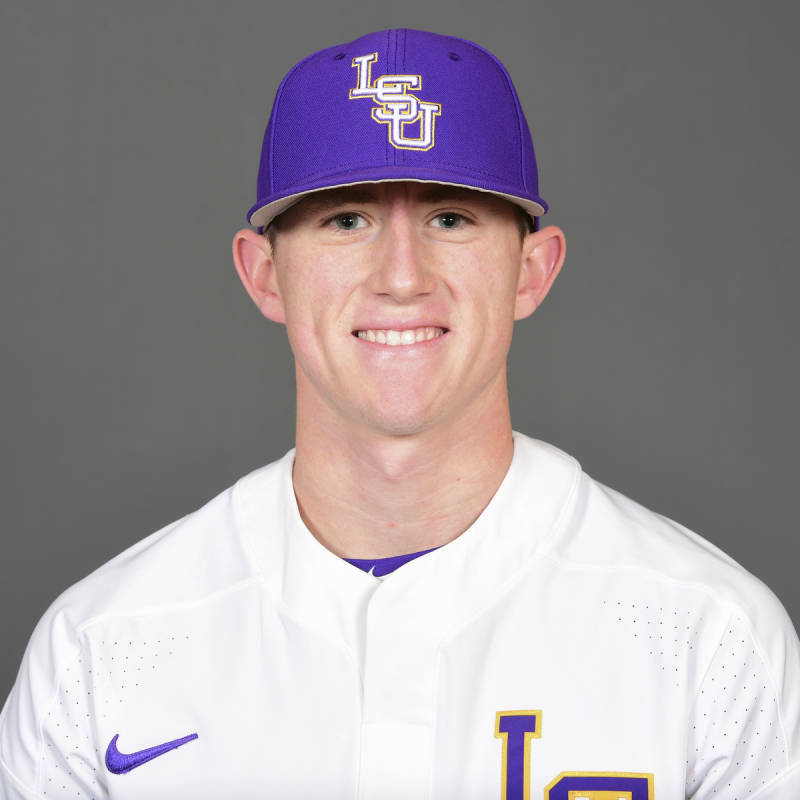 I really do think LSU can afford to have him play stellar defense and be a slightly below average hitter at the bottom of the lineup up at least until SEC play. Around that point we’ll know where the position stands and whether Garza is better sticking put at DH or shuffling over. There’s a real possibility Mathis, Garza, and Willis end up starting at three different positions throughout the year which shows how much of an impact they are expecting from this group. It’s not going to be pretty at all times but the catching position should be farther along than it was a year ago and could become a strength heading into postseason play. First base is still an open competition and outside of maybe bullpen roles it’s something that won’t be figured out until another week from now. You have young emerging stars in CJ Willis and Cade Beloso who could very well be in the everyday lineup by the end of the year. These two players is where I think the main competition is right now although Drew Bianco is a dark horse here as he’s been hitting with regularity in scrimmages. If Mainieri thinks this is the fastest way to get him in he’ll slide over. It becomes very obvious that there is zero experience listed on this depth chart. Although this may be a red flag for some freshmen at the college level routinely make numerous impacts and LSU has four of them to choose from right now expecting to hit on at least one in the short term. Cade Beloso a prep star from the New Orleans metro area and Gatorade player of the year in Louisiana has drawn enthusiastic reviews from just about everyone in fall practice and has constantly been one of the 2-3 newcomers that is first out of anyone’s mouth talking about the freshmen class. Beloso reminds me a bit of a Chris Chinea from the other side of the plate. I think at this point in his career he can do more things from the plate and thus will see time as a freshman. Mainieri and Cain made it a priority to go out and get a left-handed power bat and if Beloso is productive then LSU may be looking at a 3 to 4 year starter and someone they can build the lineup around. The best tool is obviously power where he can go gap to gap at almost any time and to this point Cade has shown he can hit for a high average even when pitched around at the prep level. Plate recognition and patience will only grow as he matures. I think by the time he’s done at LSU he’s going to register some of the highest exit velocities we’ve seen since its inception. Speed is below average with his frame, nothing unexpected. I don’t think he’s a liability in the field at all, obviously there will be better options but he can hold his own defensively. Beloso is the power bar from the left side of the plate and as long as he’s hitting he will always have a spot in the lineup. Then you get to CJ Willis who out of the four is most likely to stick to the position long term. Willis is a premium bat and has one of the highest ceilings of the freshmen class, not only this team but the entire nation. 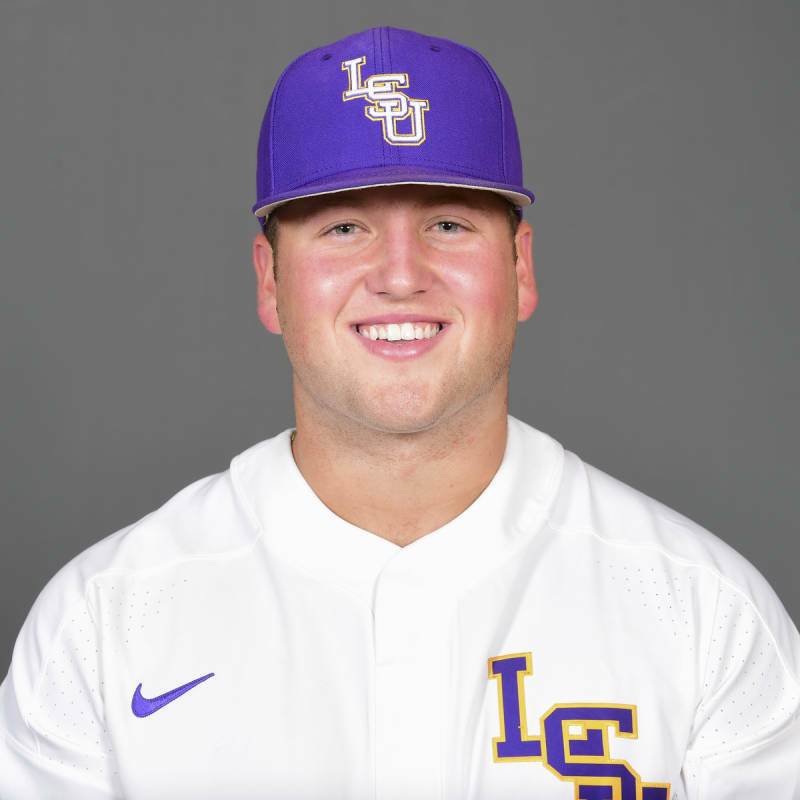 LSU was fortunate that his injured shoulder kept scouts at bay during last spring as they were forced to shift focus to other prep players in the area. From the left side of the plate he has a very lean build with ton’s of room to fill out over the next three years and get stronger which I think he will. Willis has a very fluid swing which produces solid contact where the ball flies off his bat. I like his hands as he’s able to stay inside the ball for the most part. Athleticism isn’t going to be an issue and if he sticks he’ll provide great range at 1B and it’s a position his arm can be masked to an extent this year. He has slightly above average speed. Whether he starts will be determined but he’s going to play a major role for this team. Drew Bianco has taken more and more reps at 1B compared to fall practice, I’ll go more in depth with him at another infield position. Gavin Dugas much the same as Bianco may be listed here but I think he’ll see the field faster at another infield position. 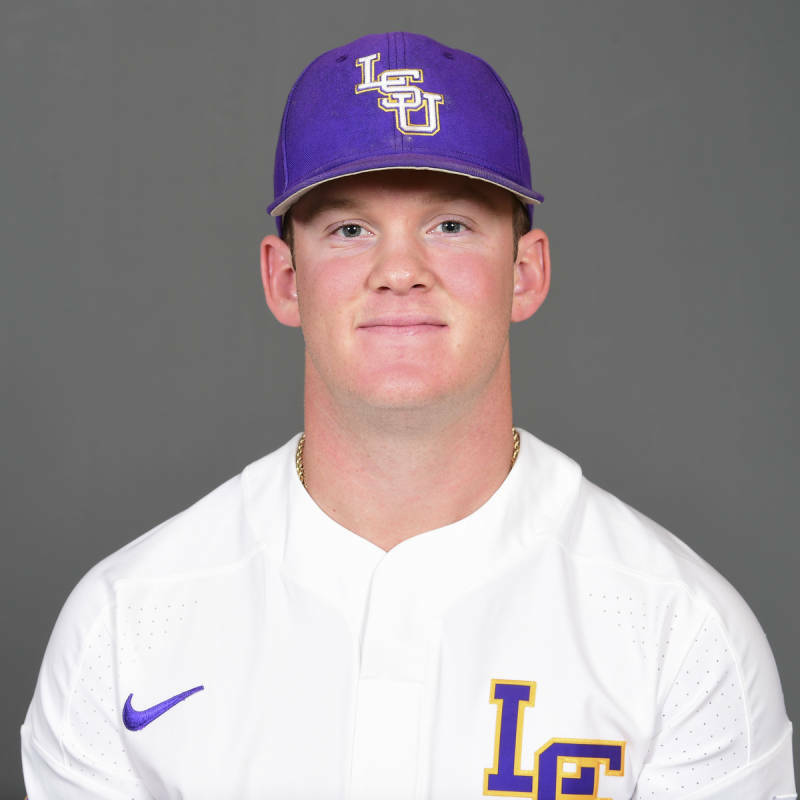 My take: For the first time in years LSU will have the ability to plug in a combination of big bodied power threats from the left side at the 1B position without losing immediate depth at C or DH. There is a huge predecessor to this “potential” in that none of Beloso, Willis, Bianco, or Dugas has played an inning in college so there will be growing pains. Each of these guys figures to be around for a least the next 3 years so the cupboard is stocked looking into the future. Mainieri has said whoever wins this position will hit in the 6 hole for now and that looks to be a comfortable spot for a newcomer following the veteran filled top 5 in the order and may be just the spot opposing pitchers think they can let up. For now I’m going to pencil in Cade Beloso knowing that this may and will change before the start of the season. Brandt Broussard returns 100% healthy right now and looks to be the full time starter. After Broussard I really think it’s going to be Dugas he seems to be pushing hard to get anywhere on the field. 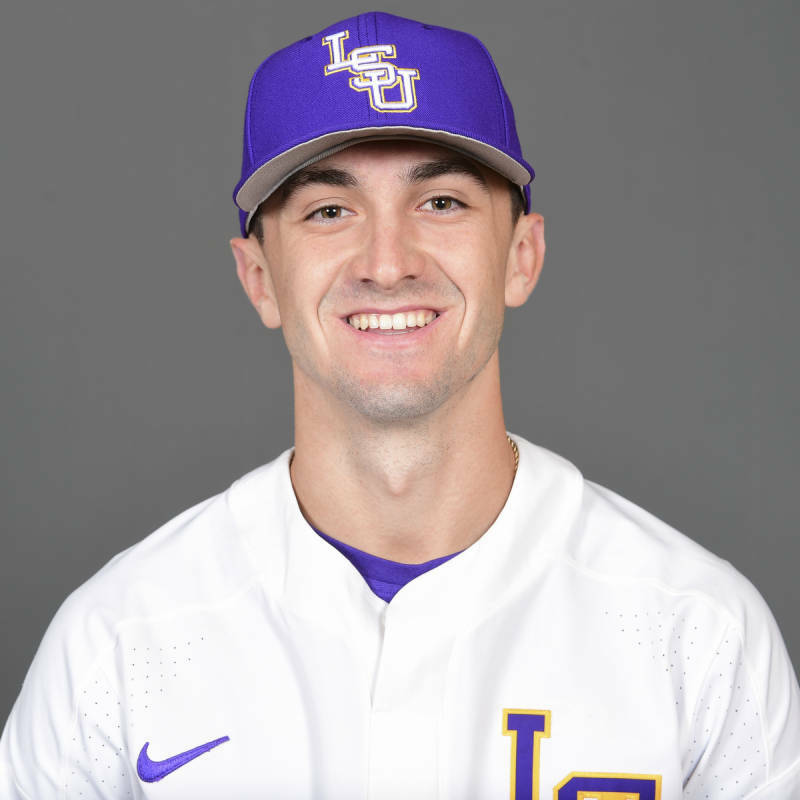 Brandt Broussard’s season effectively peaked just before conference play where he looked like one of LSU’s most consistent hitters heading into SEC play. Five games into conference play and it unraveled after he broke his thumb. It would be something that would linger for months even though he was a consistent starter towards the end of the year. Maybe it was the injury, maybe superior pitching but he didn’t look like the same player and the average continued to dip. I like the thought of Mainieri starting Brandt to begin the year up the middle, he’s veteran with a well above average glove and one of the fastest guys in the lineup. His average will need to improve this spring to stay on the field as there is a freshman aggressively competing for playing time right behind him. Broussard is a pure contact hitter, he’s at his best staying in the middle of the field and you’re not going to see him loft many balls, if he is then there’s something drastically wrong with his approach. I would like to see him improve his OBP%, a year ago he was third on the team in stolen bases but had the lowest overall percentage of reaching base outside of Hal Hughes counting everyday starters. Broussard becomes a very dangerous weapon for Mainieri if he stays consistent with what he’s asked to do which is simply get on base. We’re going to see him at the lower half of the lineup, it’s going to be his job to get on base as the lineup turns over. Speed is plus plus and one of the best on the roster. Defensively he has spectacular range for his wiry frame and his arm strength is above average and nothing that will limit any throw from the right side of the infield. Gavin Dugas isn’t someone that looks the part, he’s only 5’10 but he’s extremely strong and well-built for his compact frame. 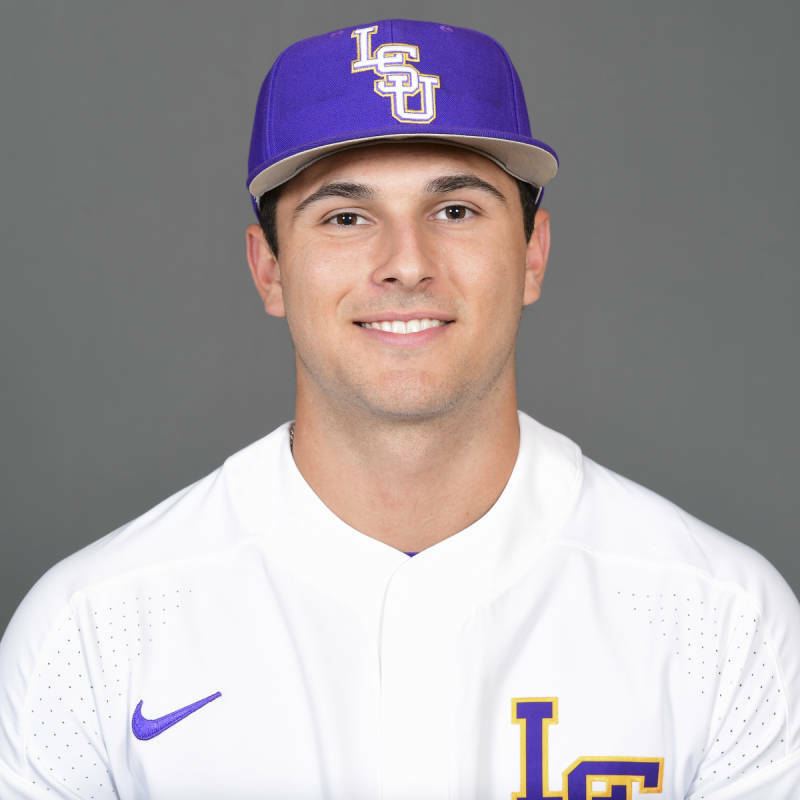 He’s one of the more matured athletes of this freshman class and made a mark on Mainieri last summer in the collegiate summer league immediately following his senior season. Gavin hit .342 with 28 stolen bases and seemed very comfortable picking up the game speed, he’s a balanced hitter doesn’t do too much in the box with his line drive approach. He’s going to be at the very least a vital pinch runner late in ball games if he doesn’t supplant Broussard at second base, speed is a plus plus tool. From the right side of the infield he’s an above defender with a plus arm. Hal Hughes the electric infielder will be an immediate insert at the position if needed, for now I have him at another position and will cover him later. My take: Broussard will hold onto the position if he’s a consistent presence at the end of the batting order, that’s how far advanced he is defensively over a replacement. At the same time, I really like Dugas to eventually become a 2B heading into next year and Gavin’s one of the more polished and ready to play now freshmen of this class. The position has depth but it would take few players shifting from other positions in the infield. Josh Smith returns amid a quite disastrous 2018 season which sidelined him all but 6 games. Shortstop is going to be a pretty simple position to map out, it’ll be Smith starting with Hughes backing him up and I don’t see it any other way. Smith has shown the ability to play 3B as well so him sliding over is not out of the question if needed. I think Josh Smith has the makeup to become an all-american type player and he was a big piece to why the team struggled at times last year offensively. It’s convenient to say he could have still made a difference in the dugout but it’s not the same when he’s not on the field with his teammates. As a freshman in '17 Smith was 2nd in 2B’s, 3rd in RBI’s, 3rd in BB’s, and 3rd in OBP% on a very experienced and deep lineup. Smith is one of the main table setters at the plate and will either wind up hitting in the 1 or 2 hole over the course of this season. Josh is also one of the more patient bats LSU has coming back and from the left side of the plate is able to work up pitch counts. Because he's positioned to be in front of a power bat he’ll get his fair share of good pitches this spring. Power is somewhere between slightly above average to a plus tool, 7-10 HR’s is a reasonable number. He's also a natural spray type hitter and is a very advanced bat hitting the ball the opposite way so anywhere in the 0.315-0.330 average is his sweet spot. 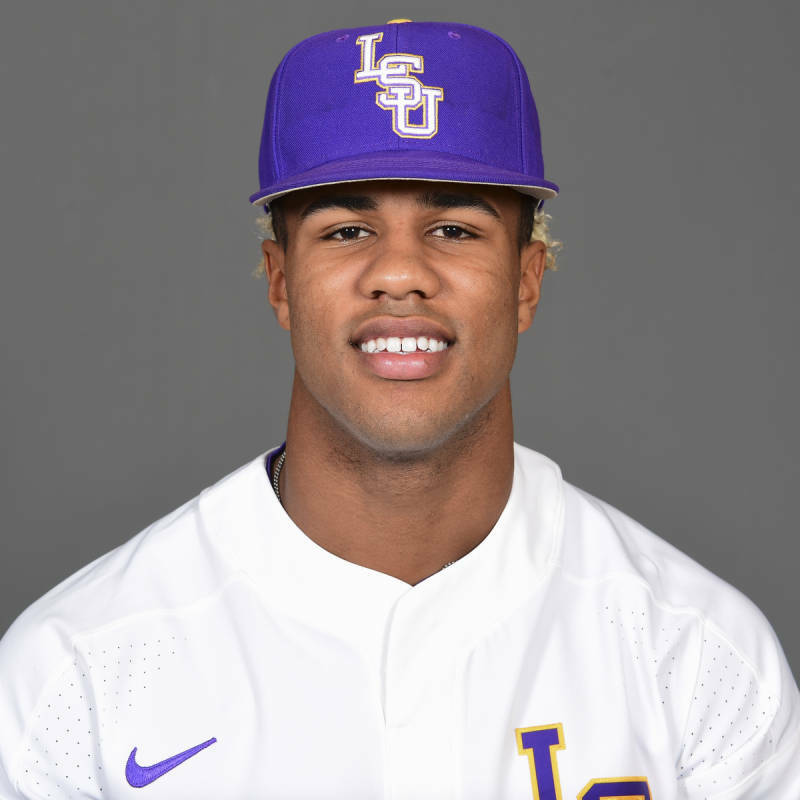 Although he's not one of LSU’s fastest 60 yd times he’s still an extremely alert, experienced, and aggressive baserunner who will be a threat on the base paths and will be involved in the hit and run game. Arm is well above average and is able to make any throw needed from the left side of the infield, range is above average and is something he’s going to improve on as the year goes on with more and more reps. With Josh Smith back in the lineup you’re getting one of the main locker room presences and the vocal leader on the infield who was a key to LSU's runner up finish two years ago. I don’t think any of his tools are a plus plus however his floor is above average at everything he does and he does everything with such consistency that it masks any small holes or deficiencies in his game. Hal Hughes will be the main backup and has shown over the course of an entire year that he can handle the position defensively and excel. I don’t see any problem if each flip flop at some point during the year although I don’t expect that to happen. 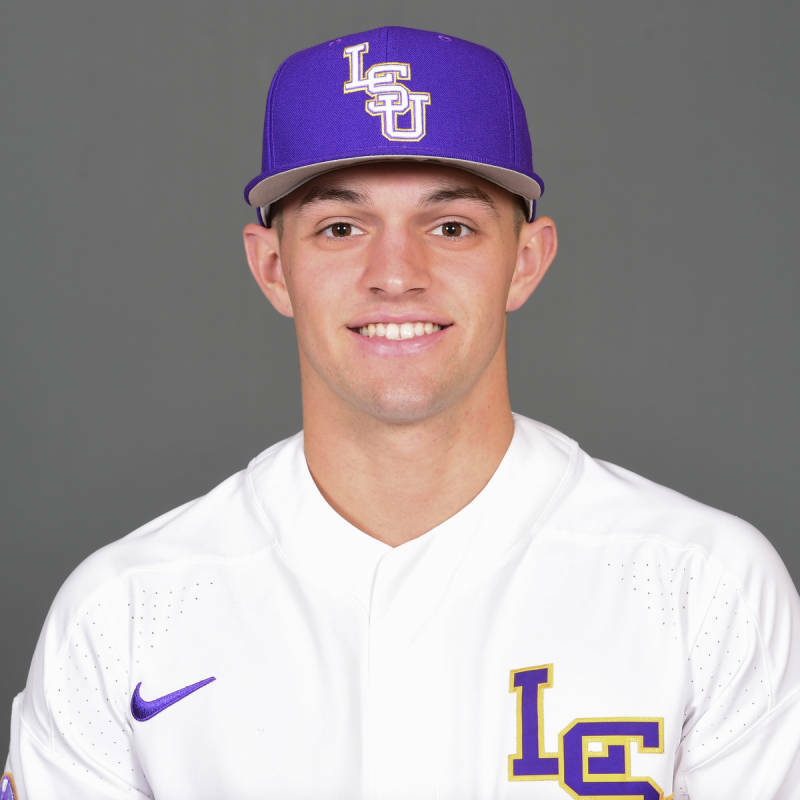 My take: Shortstop will be locked down between Smith and Hughes backing him up and LSU will be welcoming back one of their leaders. I think Smith should make one of the biggest jumps offensively and will be a top 5-6 round draft pick this summer, I think if that happens it will be a win-win for LSU because it will have shown he was able to come back 100% and no only produce but improve on his game. I don't see any real weaknesses watching Smith play the position and there is depth defensively if needed. The middle of the infield once again looks very strong. Josh Smith will be the everyday starter at shortstop so Hal Hughes slides to third base it’s that simple. Hal Hughes played a premium position in the SEC as a true freshman and well before anyone on the coaching staff had anticipated, for the most part he held his own given the circumstances. Smith has shown he can be an everyday third baseman so a flip at any time is almost negligible. Hal Hughes is in here for defensive purposes; his glove, range, and arm are arguably more advanced than anyone else on the infield and the only thing that would keep him out of the lineup is if he becomes a glaring liability being in the everyday lineup. Last winter I didn’t think Hal would be a first year contributor however he played due to extreme need at the position. At the end of the lineup he was sometimes a black hole but still I think with the growing pains he endured and the experience he gained it's something that’s not simply taught. Competing in the Northwoods league last summer Hal hit 0.281 over the course of 25 games, it’s a small sample size but it supports the notion that he’s not just a one trick pony. Without a doubt the main focus for Hughes this off season is to show a larger presence at the plate, his AVG, OBP%, SLG% were all last out of everyday starters and he was second in strikeouts. Hughes displayed more patience at the plate during postseason play and while not statically appealing his at bats were more productive. Hughes does show much power at all right now and he continues to work on his line drive approach and stay in the center of the field. Until proven otherwise he’s still a slightly below average hitter overall however I do think he can be make a significant jump as have other defensive minded second year players under Mainieri. If Hughes does in fact hold onto a starting position he’ll be an 8 or 9 hole hitter once again. Speed is above average but I would like to see him on the base paths more as he does have the straight line speed to take at least 10-12 this year. The reason why he's starting and his strongest tools is his glove and arm. He's an extraordinary athlete for his size, very quick first step, soft hands, glove is getting better everyday, he has the ability to make any throw from the hot corner. In the field there isn’t anything I don’t like about him at 3B this year…maybe if he was 3” taller. The coaching staff has the luxury of knowing both Hughes and Smith can flip flop at any time and lose almost nothing defensively. Drew Bianco is really making it hard for Mainieri to sit him behind anyone this fall/winter/spring. After seeing more and more time at 1B I think he has a real shot of starting there however if it’s becoming evident he’s behind the other two then the next quickest way to the field becomes 3B. Bianco is a more advanced hitter who would give Mainieri and Ochinko more options at the plate but you would lose defense to an extent. If it becomes apparent that the coaching staff is willing to sacrifice defense for another bat then inserting Drew here makes more sense. It may really come down to what the coaches want from day to day and how well the rest of the lineup is doing. Chris Reid will bring veteran leadership to a young group. Chris who has been a role player much of his career will continue to be a platoon hitter from the left side of the plate. He’s a very patient bat and at the very least is able to work counts late in games. His stats don’t flash but he’s a looked up to and respected player who's a great locker room presence. Having him back in uniform is a great thing moving forward. Gavin Dugas is one of the better athlete's on this team and could shift over here if need be although I think he’s quicker to see the field at 2B. My take: Third base will not be an overall strength of this team. Hughes and Bianco are different type players that can do things well in different settings, each of them have alot to prove in 2019. Since the 2010 fiasco Mainieri has without a doubt placed an emphasis on defense here and for that reason it’s unreasonable to not start Hughes here and hope the bat picks up. LSU can live with an 8 or 9 hole hitter at this position but the at bats need to be more productive. I'm reminded of Derek Helenihi when LSU made the championship run in 2009. He hit 1-24 in Omaha but changed games with his glove as he and Nola locked down the left side of the infield. Hughes can do just that and if he becomes a streaky hitter then LSU's lineup will have no easy outs. The outfield returns every starter in what may be one of the most talented position groups in the entire nation. Last January I expected LSU to lose at least one if not both of Duplantis and Watson, the fact that both return is beyond what any of the coaches expected. I imagine Mainieri to keep the same look from left to right: Daniel Cabrera, Zach Watson, Antoine Duplantis. Left Field: Daniel Cabrera who was LSU’s highest rated commit of the 2017 recruiting class emerged a little slower than anticipated but became LSU’s most consistent power threat in the lineup in SEC play as well as earning freshman All-American honors. 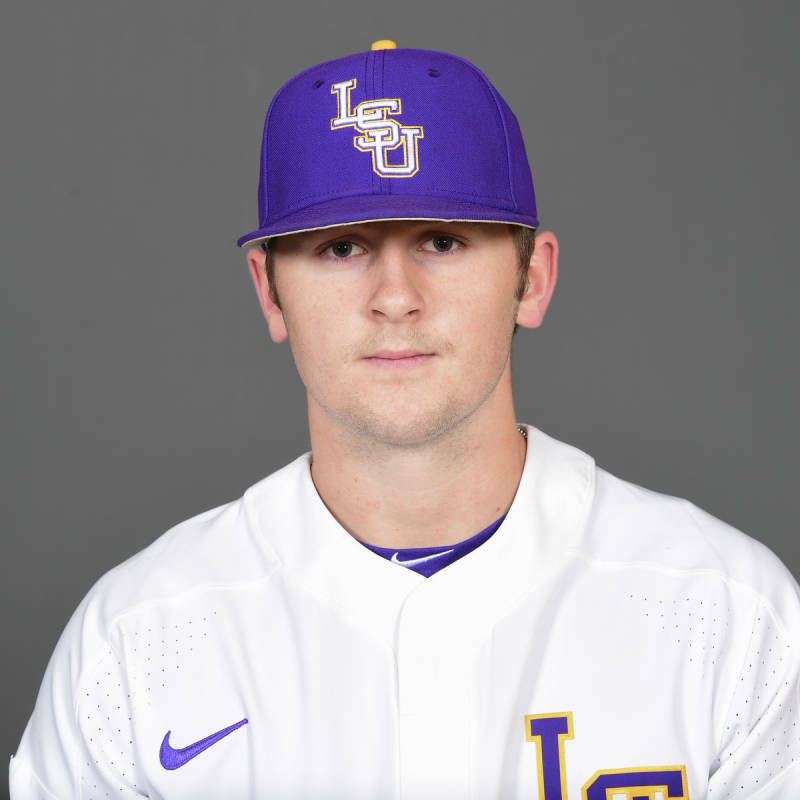 LSU’s lineup will be much deeper this spring as it returns a combination of veterans, a starter who sat out the entire 2018 season, and the number one recruiting class filled with power and speed from each side of the plate. The question then becomes where does Daniel fit in the batting order? Cabrera hits with a combination of gap to gap power and the ability to hit for a high average, it’s something that I think he’ll only immensely improve upon in college as the game slows down for him. As polished a hitter as Cabrera has been thus far I think this is the year if any that his power starts to show. In his freshman season he lead the Tigers in HR’s, RBI’s, SLG%, BB’s, and OBP% and now Mainieri has the luxury of placing him anywhere in the 3-5 hole where LSU could turn the heart of the order into a murderous row similar to the 2013 order. Daniel has some of the best hands I’ve seen in a hitter, the ability to stay inside of almost any pitch with his strong frame allows him to send mistake pitches a long way from which they came. His speed is above average and while I sometimes saw him get mixed up occasionally on flyballs he showed the range to be able to make plays in the left field. In the long run I think he’s a true right fielder and will transition to the position once Duplantis graduates the way Greg Deichmann did as a junior. As a converted two way player his arm is very good and a plus tool from his position in left field. He’s a true 5 tool player that will make a name for himself over the course of the next two years, honestly no stat he puts up this year would surprise me and he could be a guy that eclipses the 15 HR mark as long as he’s protected. Cabrera is a potential first round draft pick in the 2020 MLB draft. Centerfield: Zach Watson by no means of the imagination had a “bad” year in 2018, a down year by lofty expectations maybe but it became evident he was pressing at the plate. I definitely saw a guy trying to make too many game defining moments as he did in 2017. The good news is heading into 2018 I had already written off Watson as entering the MLB draft so in a sense we’re playing with house money this year and I kind of like that. Zach is by far one of the more talented athletes in this years draft class and will return as the Tigers starting centerfielder where he’s been phenomenal (1 error in two years). He makes superb first jumps on the ball and his speed allows him to catch up to almost anything. Arm is slightly above average as he’s played multiple positions leading up to college. At the plate when Watson is best when his swing stays level through the zone and he generates exceptional bat speed/power for his size, he’s one of those deceptively strong athletes. Where he gets lost at times is the inability to stay patient as he tries to do too much, 45 strikeouts were the most of any starter a season ago. I think it became obvious with the loss of Smith a year ago that Zach tried to be “the guy” instead of trusting the players behind him. With all of this his average has stayed pretty consistently in the lower .300’s and has shown the ability to be streaky in a good way down the stretch. 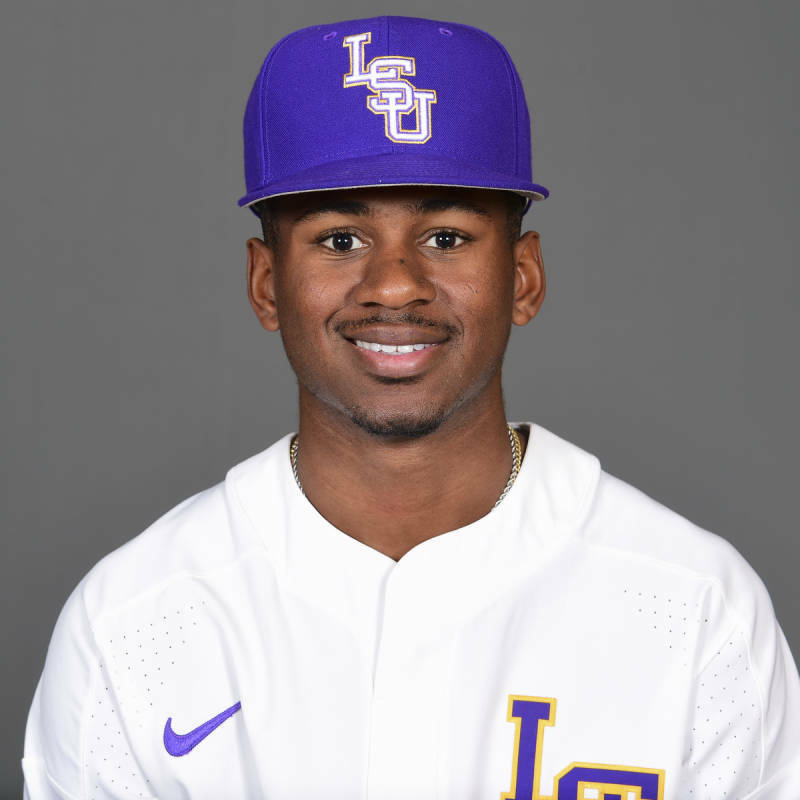 Speed is in line with the best of the best in college baseball right now, one thing I would like to see him shoot for is leading the SEC in stolen bases, I think with LSU’s deep lineup he’ll have more of a green light at his discretion. Right Field: And then you get to this guy Antoine Duplantis…I’d like to write a book about him but no one would read it. In three years he’s tallied 89, 90, and 89 hits respectively. Just 84 more hits and he’ll break the both LSU and the SEC’s all time hits record set by Eddie Furness (1995-1998). Antoine has the least upside of any of the three starters and he may never make an MLB roster but his style of play is perfect for the college game of today and every championship team has a guy such as Duplantis. Antoine has been and is the most polished contact hitter on this roster as he’s able to stay inside out extremely well and keep his bat plane level at all times, his swing is a thing of beauty. Duplantis is also a very advanced two strike hitter that doesn’t need to change his approach the way others might in the 2 strike hole. I don’t think his power is magically going to take off this year it’s just not the way he approaches his at bats. 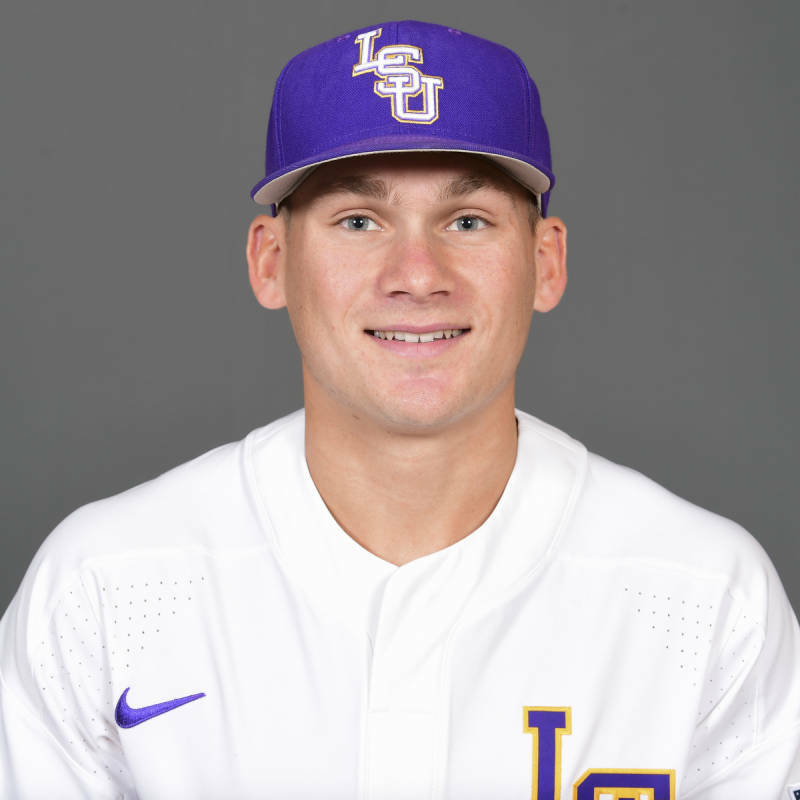 Mainieri wants to plug Duplantis in the leadoff spot this year and if true will put a lot of pressure on opposing pitchers. Antoine doesn’t have the fastest home to first time on LSU’s roster but he’s lead the Tigers in stolen bases the past two years and is an absolute weapon in the hit and run game and for him it’s still a plus plus tool. Range in the field is some of the best you’ll see a right fielder this year while his arm is slightly below average for someone at the position. Typically, you always want your strongest arm in RF but Mainieri doesn’t seem too concerned with it, noting multiple times that Antoine handles the glare from the west better than anyone thus far. 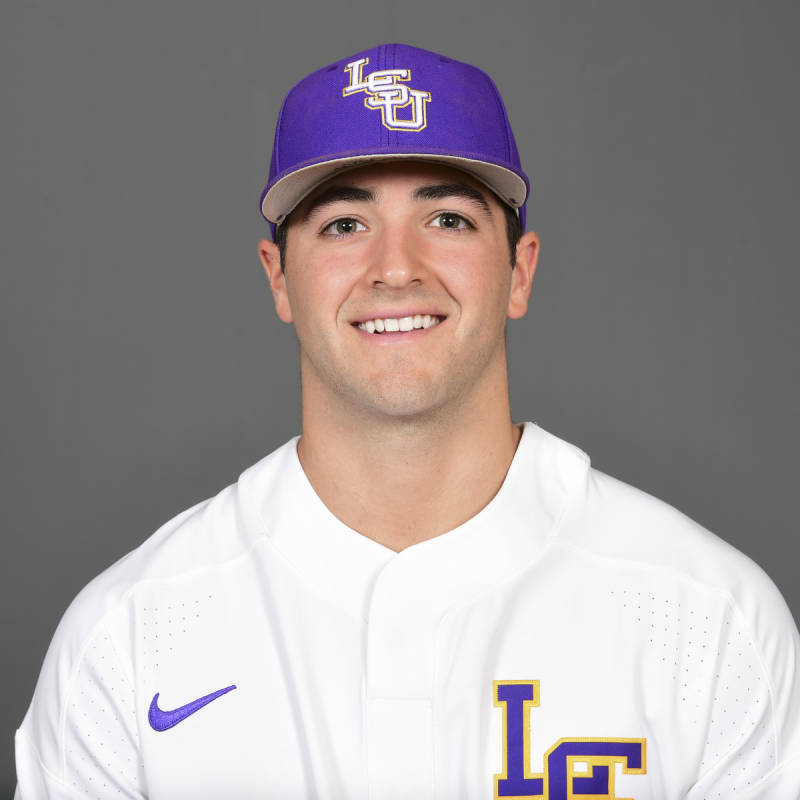 Backup: Giovanni DiGiacomo is going to be the next line of centerfielder for LSU. At first glance he reminds you of a Mark Laird type athlete from the left side of the plate although DiGiacomo has already showed he possess much more power. Long and rangy is the best way I can describe him with exceptional speed and I think that will keep him in CF during his college career. In terms of now he’s the first guy off the bench in late game defensive situations or to pinch run. Because Giovanni is the best defensive option off the bench I’m not sure if the coaches see him as a true everyday DH but that may change. He will get at bats and innings in but I don’t see anything major, still his role is going to be important. My take: Every starter is back, they are a year older, a year stronger, a year more mature to the game, two of the three have college world series experience. Cabrera, Watson, and Duplantis are all dynamic bats who will hit in the top half of the order and hit for a high average. DiGiacomo might have started any other year but will serve as the main backup to any of the three positions. I think it’s the best outfield in the nation the only others that come to mind are Texas Tech, Arkansas, and Florida. I wanted to grade this group higher last year but hesitated with a few unknowns and question marks however this year I’m ready to pull the trigger. You will notice this depth chart looks extremely similar to first base. Outside of Saul Garza who is set to start opening night most every other player will be competing for playing time at 1B. As we know Saul is being brought back with great caution and is the reason he is only to hit for now before switching over to either C or 1B as time progresses. Saul Garza is that one piece that could elevate LSU into a championship run type team. The lineup a year ago severely lacked any type of a consistent power threat with the departure of Greg Deichmann. I think Garza’s ceiling could be a Matt Clark type of impact although I want to set a strong preface in that the bats will not allow Saul to reach the homerun totals set in 2008. At the plate he’s very much a physical presence where he maintains a slightly open stance pre pitch but is able to keep his weight square. Has extremely explosive hip drive that allows him to generate great bat speed… most of his homerun’s tend to come pull side. It wouldn't surprise me to see him hit 15-20 HR's and play the gaps where I expect him to be a high teen’s double machine. Paul wants him at the 3 or 4 hole to start and as long as he’s producing he’ll stay put. The only thing I would like to see him improve hitting wise is to stay patient and not over reach where he can strikeout in numbers. He’s more than likely going to be hitting in front of Cabrera or Watson so pitchers won’t have the luxury of trying to be too cute on the corners. Speed is a non-factor, he’s athletic but has always had slightly below average speed and with his knee won’t be seeing any steal signs or be a part of hit and run signals while on base. Defensively he’s a solid defensive catcher with a plus arm so it will be very interesting and something to watch for if he stays at DH or slides to C around the end of March-early April. 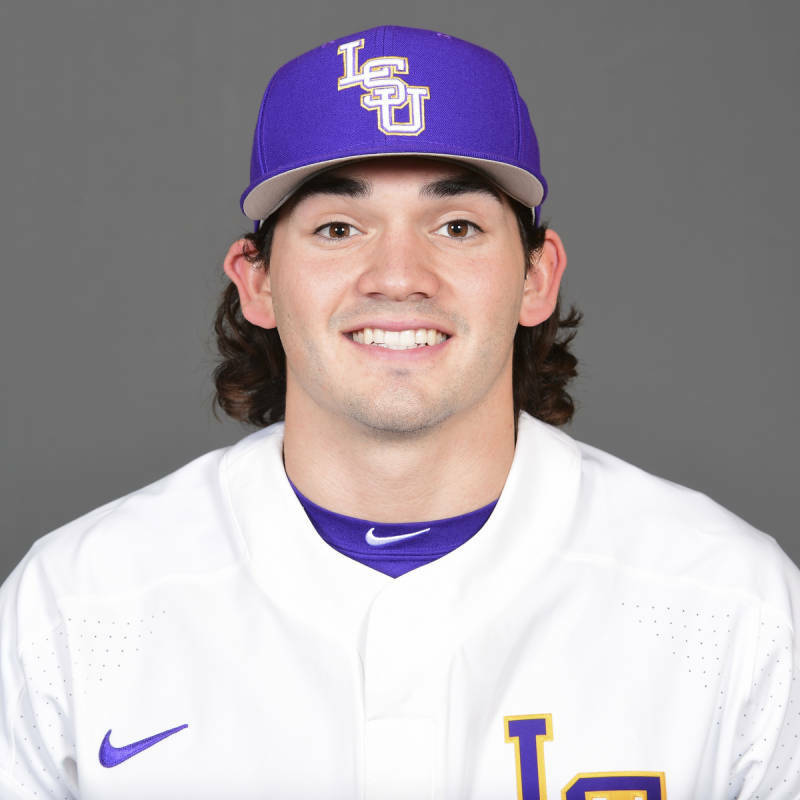 Depending on how well Brock Mathis is hitting from the plate Mainieri may feel another freshmen bat is needed from the left side so we may eventually see Garza slide to catcher. Saul is a draft eligible sophomore and if he shows he can hit SEC pitching consistently his power is going to make him a premium draft prospect in June’s draft. Cade Beloso who is one of the leading candidates for the first base position is also an easy slide to DH if and when needed. CJ Willis is much of the same, a power bat from the left side of the plate that the coaches are reluctant to keep on the bench. Drew Bianco is an interesting player this year and has been linked to many positions, if he doesn’t eventually start at 1B or 3B by SEC play then could be a late year DH option as he’s the most talented right handed bat at this position on the depth chart. At the very least Drew will be a late game platoon option right now. Giovanni DiGiacomo has been hitting well thus far in scrimmages and is another speedster who can hit from the left side of the plate. Because he’s the first backup in the outfield I’m hesitant to think he becomes a full time starter; however it’s another option for the coaches. My take: In college baseball a lot of times the designated hitting position is usually a mix of plugging in the last guy to fill out a lineup or plugging in the best bat that doesn’t have a position. Right now Garza falls into that latter category as he progresses towards getting back to 100%. 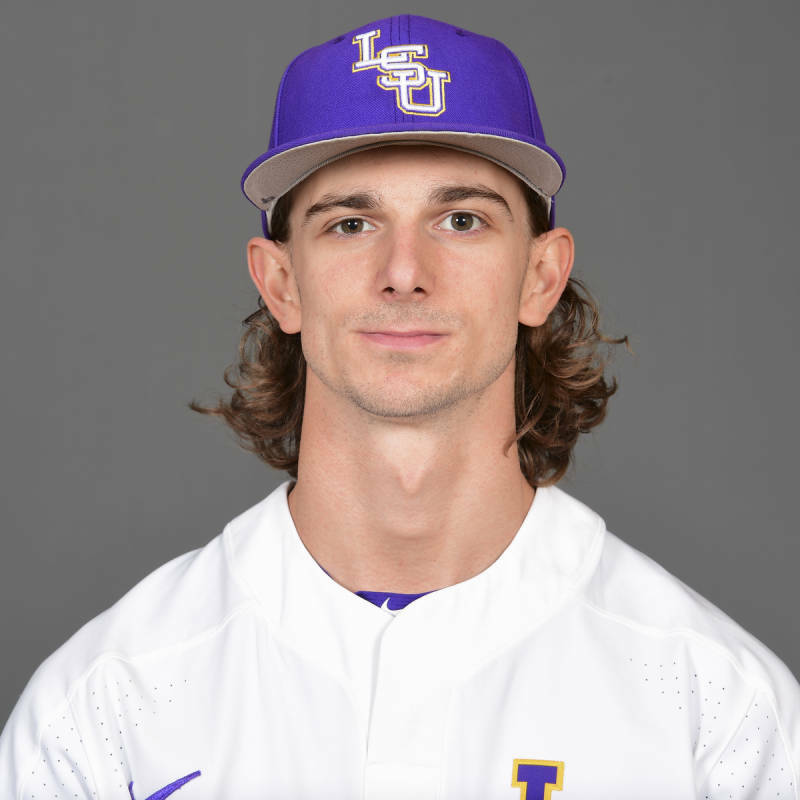 I see one of the better JUCO’s LSU has had in recent years who can make an immediate impact, I see options from both sides of the plate, I see youth but I also see room to grow. The entire depth chart has yet to take a swing for the Tigers but my final grade should show how optimistic I am. I think this pitching staff sets up much the way the 2012 rotation came to be which consisted of an ultra-talented but unproven Kevin Gausman, a sometimes-inconsistent Ryan Eades, and a blooming freshman in Aaron Nola. The rotation opening weekend should look like Zack Hess, Landon Marceaux, and Eric Walker in that order. There are two other freshmen pushing for starting spots that be used in the week day matchups for the first 3-4 weeks. Zack Hess turned down a couple of verbal offers in the early rounds of last years draft. I think since attending LSU that’s he’s wanted to be “they guy” as the first weekend starter and make a run for a title. There’s no question he struggled at times as a sophomore where his command would get the better of him. Zack’s a strikeout guy but much like Alex Lange his pitch counts tend to balloon during the middle innings when he doesn’t pitch to contact and tries to get the swing and miss pitch. What brings me optimism is the way Hess pitched for Team USA last summer, looked much more composed and pounded the zone the way he did in 2017. Hess is a year older and having played in the best conference in baseball I think the old saying “iron sharpens iron” applies here with the poise and maturity aspect. LSU’s lineup for the most part will be able to score more runs and that may help him psychologically not need to worry about every pitch changing the outcome of the game the way it did a year ago. Zack has two pitches that are nearly a plus plus pitch at the college level. The fastball sits 92-95mph and has life down and away at times. His slider has great life (sometimes it looks more like a slurve) is always going to be his out pitch and as long as he can control it he can dominate ball games. Mainieri said the changeup is much improved which is exciting to hear and will also keep hitters honest. I really think Zack Hess can be top 1-2 round guy in the MLB draft this summer he grew a lot last year and it will pay off for a championship run in 2019. 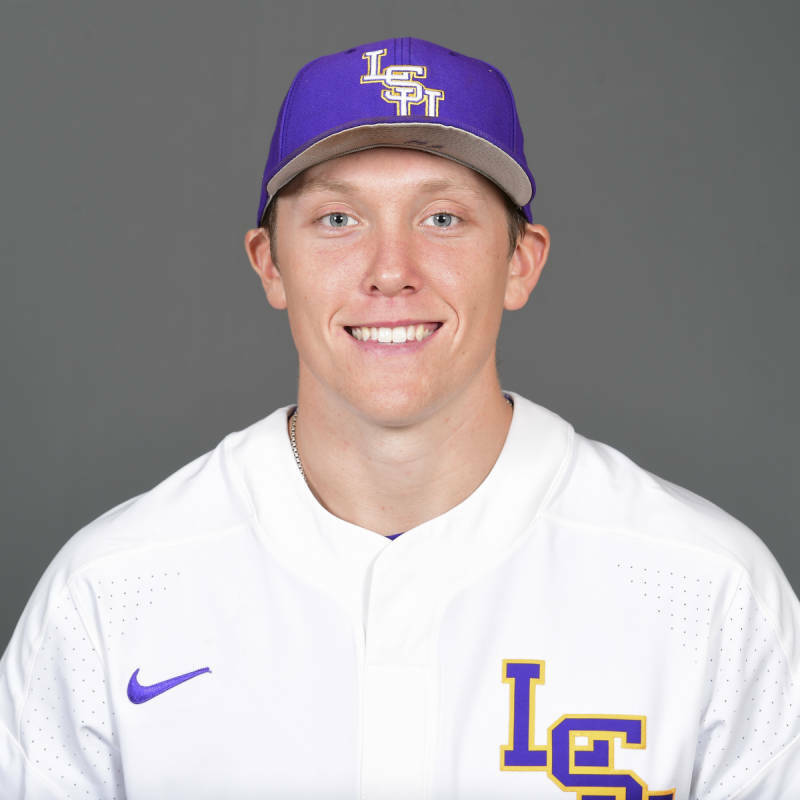 Landon Marceaux almost ended up at LSU last January as a high school senior. The coaches had to sweat this one out until draft day but later that afternoon Landon made it known that he turned down a potential 2nd round offer and would be attending LSU. In a nutshell he’s probably the biggest piece of this this recruiting class, a guy I honestly didn’t think would make it to campus. Marceaux is by no strength an “imposing” player from the mound and to my knowledge that’s his only real downside. Out of the entire high school prep class he’s one of the more polished and college ready arms who has excellent command and feel for the game. So far this spring he’s been sitting 90-93mph and I think that will rise as the weather warms. Curve ball is a plus pitch right now which he throws out of the same arm slot as his fastball and he’s able to confuse hitters at times. The curve ball is an out pitch at the college level and is creating swings and misses. Changeup will develop and he’ll use it on occasion. Much like Eric Walker he keeps the ball down and pounds the zone which will keep him in pitchers counts. Marceaux is a very poised pitcher, he works fast, he has a good feel for the game…I don’t see what there’s not to like about his future. Eric Walker rounds out the starting rotation after having sat out the entire 2018 season due to Tommy John Surgery. I think many are cautiously optimistic as are I in regard to how quickly he’ll adjust to playing again and if he’s eventually able to get his fastball up to what it once was. As a true freshman Eric might have made the biggest impact in that class and was the reason LSU was able to go so far into the postseason. He’s had almost 18 months of recovery which has been good as he hasn’t had to rush any one stage of his rehab. I think plugging him right back in the Sunday spot makes the most sense and it’s somewhere he’s comfortable. On Sunday’s you need someone who can eat up innings and pound the zone and those are two of his finest traits. I’ve heard some reports he’s up to 86-88mph although I expect that to rise to 88-89mph consistently later in the year. His best pitch is a changeup which has late movement and it’s something that he can throw in any count, the curve ball was an average pitch two years ago but is something he’s been trying to throw more and more in any count. All in all I think he’s an outstanding Sunday starter on paper and the key will be his control. If Eric is able to mix any of his pitches at any count which he was able to do in 2017 then I think in 2019 he will have a very strong campaign. Jaden Hill is the second pitcher in this class that received major interest from the MLB and was another guy the coaching staff had to sweat out the first and second day of the draft. I think in three years Jaden is one of those first-round talent type arms. At 6’4 he’s an exceptional athlete having played both football and baseball and has room to fill out and get stronger and theory suggests add a couple of mph to his fastball. Right now Hill is competing for the #4 starter/weekday starting spot and would be a nice extra starter later on in the postseason. The fastball is 91-94mph right now, I see that increasing as the temperatures rise, his slider is average to above average pitch as long as he can throw it consistently. The one pitch I love to see him throw is the changeup which breaks down and away from left handed hitters and into righty’s. It’s something I think can be an out pitch now and the harder and harder he’s able to throw during the course of his college career the better that pitch becomes. The only negative I can find right now is him trying to overthrow a bit at times but that’s something that can be corrected. Cole Henry is the third pitcher of this class that was thought to be a 50/50 between coming to college and signing. On the mound he has a big physical frame and shows consistent mechanics. Cole’s fastball has been clocked from 90-97mph over the past year which is a bit surprising the amount of deviation; he did sit out all of fall practice recovering from a nagging injury his senior year which could be blamed for some of this. 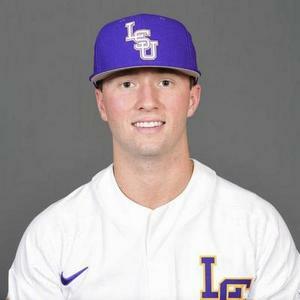 Since returning Henry has been nothing short of outstanding and has received high praise from both Dunn and Mainieri. I think he’s going to sit mainly 92-94mph this spring and his curve ball is not quite tops on the team but has strong 12-6 with a ton of movement. The fact that he can repeat those two pitches consistently will keep hitters honest as he improves on his changeup this next year. Henry is a very intriguing piece to this year’s team assuming that he is the #5 starter. A majority of the year you’ll be able to pencil him in on Wednesday’s but towards the latter half of April, May and June they’ll need to find innings for him to throw. My thought process is he becomes one of those first middle relievers out of the bullpen or a setup man. Still it is a long season and the answers will present themselves as they come along. My Take: There's question marks that can be asked about every starter but the group as a whole is very solid and one of the deepest on this team. I think Hess makes a big jump, I think LSU is lucky Marceaux made it to college, I think Walker is one of the best Sunday starters in the league. Then you get to Jaden Hill and Cole Henry who both would have started a year ago had they been on the roster. 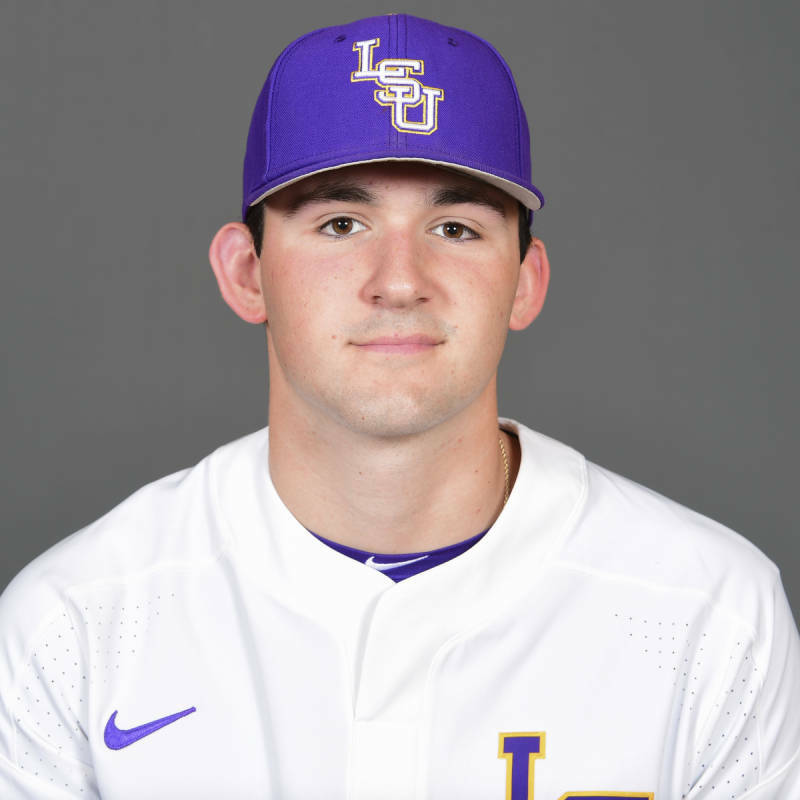 There will be ups and downs for the three freshmen the first month but if they maintain that little storm so to speak LSU's rotation going down the stretch will have alot of weapons at their disposal for a run at the title. The only reason I don't grade them higher is because they're unproven but I hope they prove me wrong this year. Pitching depth sometimes comes in cycles every two to three years where there’s a great number of experienced arms mixed with youth. LSU in 2019 will have a large number of returning arms and influx of polished freshmen arms. Assuming both Hill and Henry are the #4 and #5 starters respectively as well as potential relief guys later in the year this is what the rest of the pitching staff looks like. I will go in depth with the top 4 and highlight the rest through the order I think we’ll see them. Ma’Khail Hillard as we all know went through arm tenderness starting in regionals which essentially sidelined him as well as LSU’s season. He was shut down the entire summer, the entire fall, and just weeks ago has been getting to fully throwing in scrimmages. Right now he’s knocking off some obvious rust and to expect he would jump back into the Saturday spot opening weekend would be foolish thinking. I’ve always liked the idea of Hillard in a relief role and he was starting a season ago due to necessity. Ma’Khail is an extremely composed pitcher who can mix two pitches in any count. The fastball is average 87-90mph with late movement however he has not only the best curveball on LSU’s staff but the arguably the entire SEC and it’s truly a swing and miss pitch. If LSU can get Hillard back to 100% feeling himself and use him as a middle reliever then the bullpen becomes that much better. He's one of those guys that can go one inning or stretch it to five with no problems. Devin Fontenot is the one who I think will make a big jump from freshman to sophomore year much the same Caleb Gilbert did from ’16-’17. Devin’s freshman year started off really slow and for some time you didn’t know if he was ever going to gain confidence on the mound. The bullpen was as makeshift as you could get it a year ago with three or four guys who would rotate at any time depending on who was the freshest. It became evident that Fontenot was best in the 1-2 inning stints where he would bridge to the closer. Heading into this year his fastball is starting to come to life as it’s already been clocked at 94mph. With his deceptive delivery, the slider/slurve is starting to become a real out pitch, and as long as he keeps it low I think Devin is going to be the perfect setup type arm for this team in 2019. Todd Peterson will be LSU’s closer and is another arm who improved immensely as the season went along last year. Peterson has become one of the leaders in the clubhouse and has been throwing consistently 92-94mph this spring. His curve ball is a plus pitch, I would like to see him use it more and with more consistency but it’s an effective pitch. Sometimes you got to give the ball to your veterans and let them handle it so to speak and that’s what Mainieri will be doing with Todd to start the year. At the very least Peterson gives LSU an electric arm at the back end of the bullpen. Chase Costello is one of those dark horses this year in the freshmen class. It’s hard to hype every single pitcher without sounding biased. The reality is that LSU stocked its pitching staff to have option after option after option and that’s a great thing it drives competition. Chase comes from a good bloodline, his father played for LSU in the late 1980’s, he’s been around the game his entire life, he’s a very athletic 6’4 who will only get stronger. Chase has a ¾ arm slot with downward life, he’s able to make it run away from hitters. Fastball has been up to about 92mph with consistency in some scrimmages, I like his slider which could be something that’s special in a year or two. I’d like to see him as one of the main bullpen arms where he’ll see a lot of innings this year. Matthew Beck is another setup type guy I like. He made a huge comeback so to speak in 2018 and was really able to increase his velocity 12 months ago. Becks a guy who can run it up to 90mph with a very sharp 12-6 curve ball. As long as he's able to limit his walks the Matthew will be one of those situational type guys who see an inning or two late in ball games. He's also a veteran who has experience in the bullpen which is vital in late game situations. Aaron George is the lone JUCO pitcher added to this staff. He presents a very large frame and good feel for three pitches. When he able to mix his fastball, slider, and changeup in combination he's someone who can keep hitters off balance for 1-2 innings which is all I see them stretching him. Caleb Gilbert has seen better days but he's progressing through his rehab without any set backs. To be able to throw this spring has been a plus. The velocity is a bit down and he's going to take time to get back to full strength. Caleb is a guy that will be a wait and see on how much of an impact he's able to make, at worst he's another bullpen arm on weekdays. Riggs Threadgill is another big frame type arm that will be a building block for the bullpen for years to come. Riggs at 6'4 is one of those guys who throws down plane and induces alot of ground balls. I see him getting alot of innings in midweek games before potentially becoming a piece in the bullpen during postseason. Will Ripoll isn't a big guy and he doesn't throw hard but he has a very nice curveball. I like the way he pounds the zone and with time if he can improve his changeup to a plus pitch will be a nice bullpen piece. Rye Gunter is another one of the freshman arms, he's got three pitches which he can throw for strikes. The key for him is getting the slider over and when he can he was going toe to toe with Marceaux in a scrimmage earlier, maybe another darkhorse in this bullpen. Trent Vietmeier is going to be a midweek bullpen option for LSU as well as getting work in mop up duties. 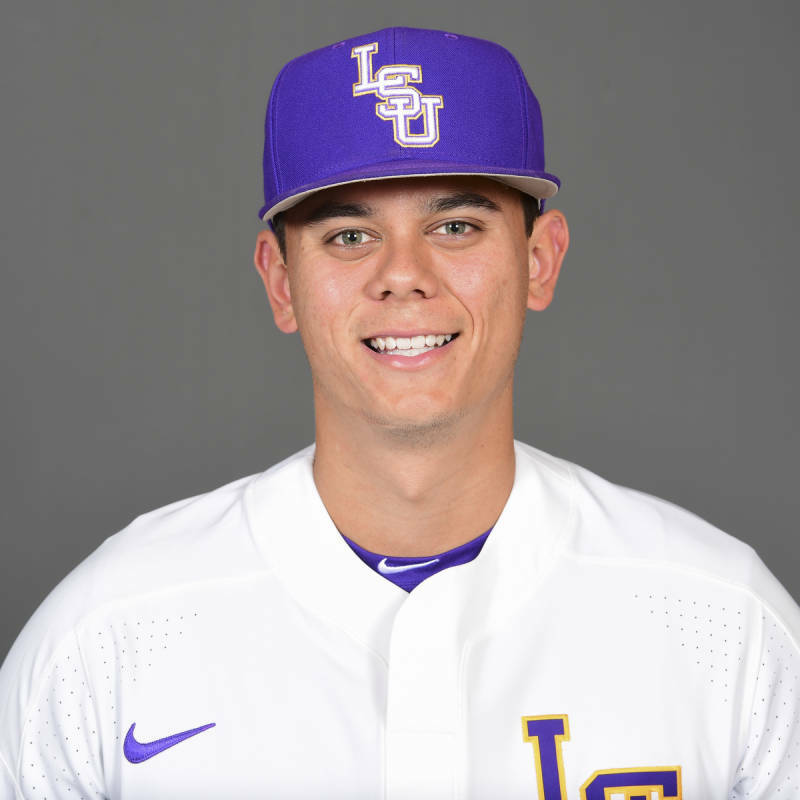 Clay Moffit is going to be a midweek bullpen option for LSU as well as getting work in mop up duties. Nick Storz is coming off surgery that the coaches hope will have him throwing full time with no hiccups for years to come. He's supposed to be throwing a bullpen in the next coming weeks and it's possible he'll be cleared to play full time in the middle of April. If that is the case it will be a huge addition to the bullpen as he was thought by many to be LSU's best pitcher in last years class. AJ Labas will be out for the 2019 season with shoulder surgery. Easton McMurray has experienced arm soreness throughout the spring and may be a candidate to redshirt if he doesn't start throwing by SEC play. 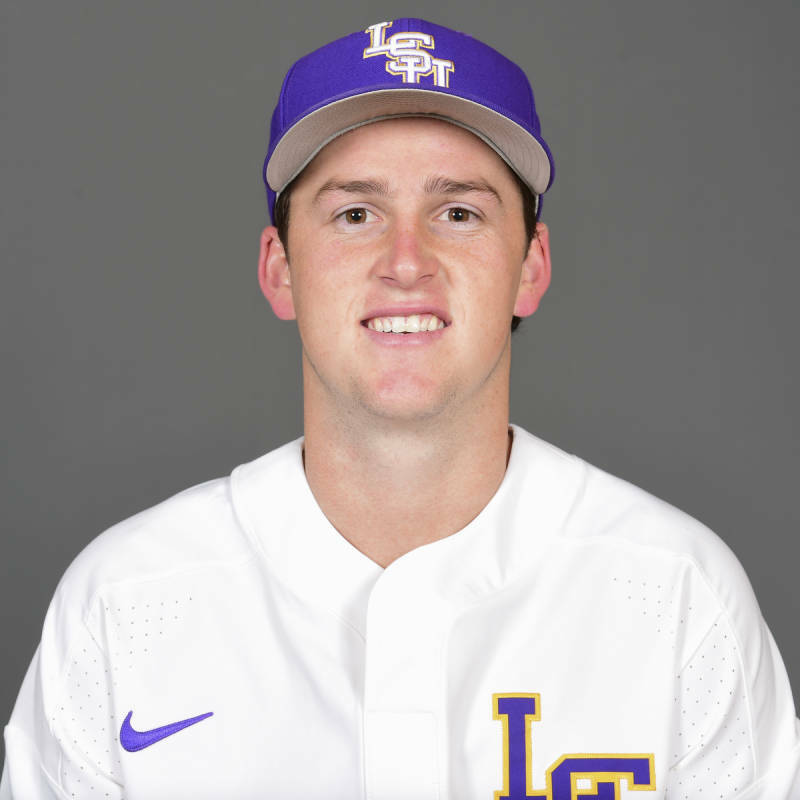 My take: LSU brings back a lot of innings from the bullpen a season ago and benefits from not needing to insert key pieces into the rotation as they have in years past. I also like the fact that by May one of the weekday starters will be forced into a bullpen role so to speak which will only add depth. If you take into account that Storz may be a late season addition that's only one more power arm which in theory will be fresh. In theory you would like a couple of lefties in here but the arms LSU has this year are very solid. This is where I left my car. Best TD thread every single year.